Post Oaks occur in all areas of Texas except the High Plains and Trans-Pecos. 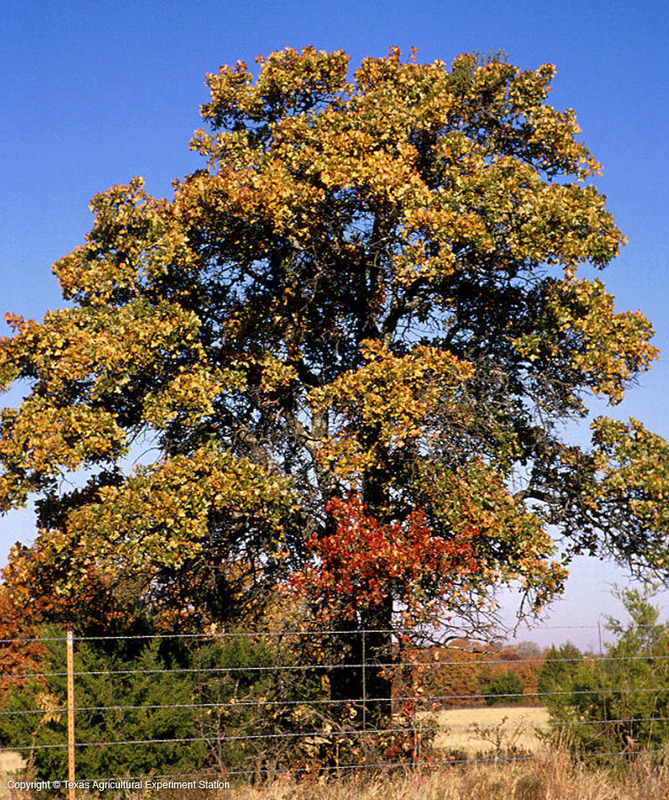 A shrub or tree ranging from 20 to 75 feet tall with stout limbs and a dense rounded canopy, it grows in dry, gravelly, sandy soils and rocky ridges. 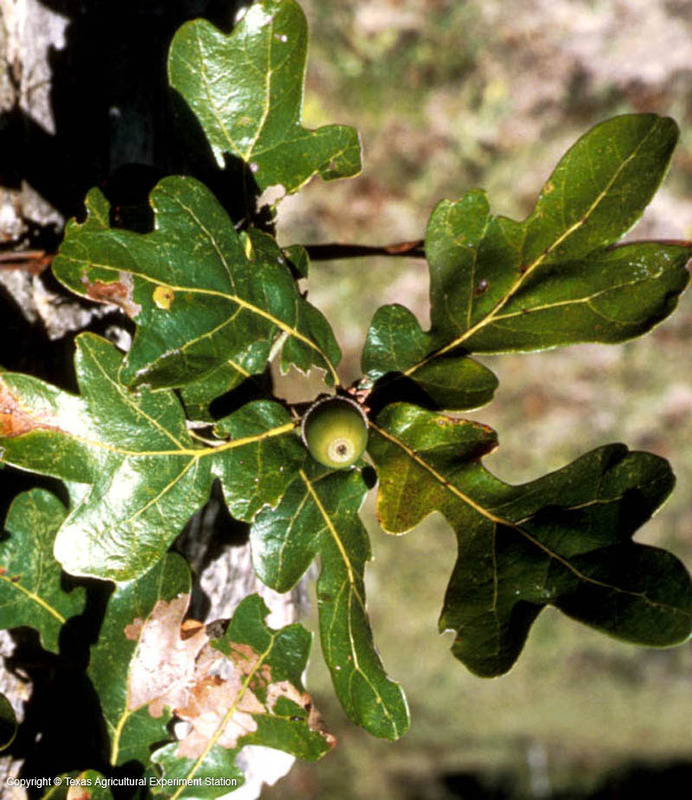 It often grows along with Blackjack Oak, and like it has been considered an indicator tree of poor soils when seen in native conditions. It is extremely sensitive to root disturbance and lack of oxygen in the root zone, so construction activities that compact the soil, pave over the roots, or change the soil grade can kill existing trees, as can overwatering, such as when a lawn has been planted around an existing tree. Post Oak leaves have a distinctive cross shape; the bark is thick with platelike scales.